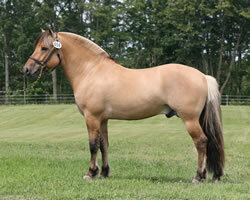 Green Valley Farm offers the highest quality Norwegian Fjords for sale and breeding. Our breeding program uses artificial insemination, with guaranteed results. 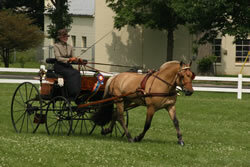 Top quality training ensures only the best outcome in all disciplines. 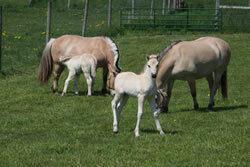 Our knowledge and desire of the Fjord enables us to help strengthen the breed and ensure its longevity. 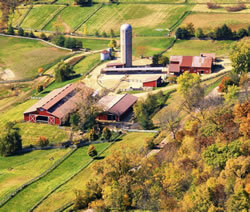 Green Valley Farm is nestled in the rolling hills of Galena, Illinois, USA where we proudly call home. Green Valley Farm is a well known Norwegian Fjord Horse farm, located in northwestern Illinois (USA), in the beautiful town of Galena. 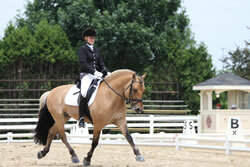 For over twenty years we have owned and produced Norwegian Fjord Horses that have won top honors in ADS (American Driving Society), USDF (United States Dressage Federation) and Fjord breed shows. 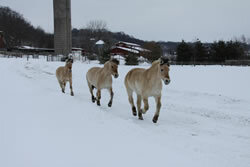 Some of Green Valley Farm’s fjord horses are among the top highest scoring fjords in the United States Fjord Evaluation Program. Owners Howard and Sophie Fiedler, along with their dedicated team, offer superior Fjord Horses for sale, including foals, young horses, imported horses and more. Whether your goal is to own champion Fjord Horse brood mares and produce the next champion offspring, discover the next yearling superstar, find a reliable companion, or fulfill a dream of owning your first Fjord Horse, Green Valley Farm can help make it a reality. Please visit our Sale Page to view our current sales list. 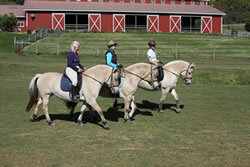 It is our pleasure to invite you to enjoy our Norwegian Fjord Horse site at your leisure. Visit our Stallion page to view each of our four stallions, including pedigrees, Evaluation scores, list of accomplishments and gallery of photos. 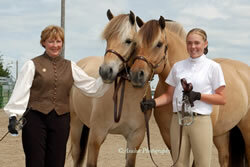 Located 3 ½ hours west of Chicago, we invite you to come see our horses and perhaps make your dream come true. We take pride and update this site on an on-going basis so stop by as often as you wish. 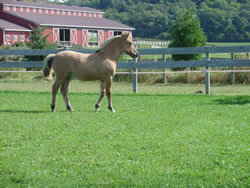 We would be happy to help you plan your trip to Green Valley Farm to meet any of our Norwegian Fjord Horses.